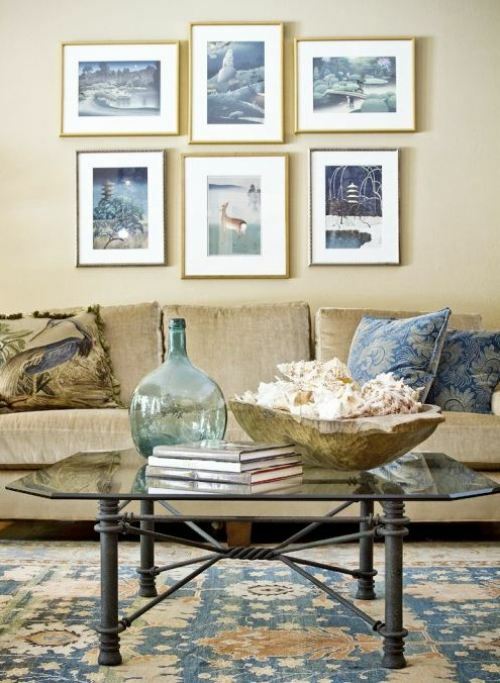 A watery palette is a very neutral, versatile way to decorate your home. From pillows to walls to accessories, decorating with these lovely blues and greens is sure to bring a touch of beach to your home! Read on for some water-inspired decor ideas! We’re loving this living room! To spice things up a bit, the designer loaded up the coffee table with unique accessories inspired by the ocean: a carved wooden bowl filled with sea shells, and a beautiful green bottle which also doubles as a vase. The artwork on the walls was grouped together to form a collage of natural landscapes, perfectly complementing the watery blues found in the pillows and rug. To keep from overwhelming the eye, the sofa and walls were kept to a neutral beige hue which made way for the eye popping blue accessories. 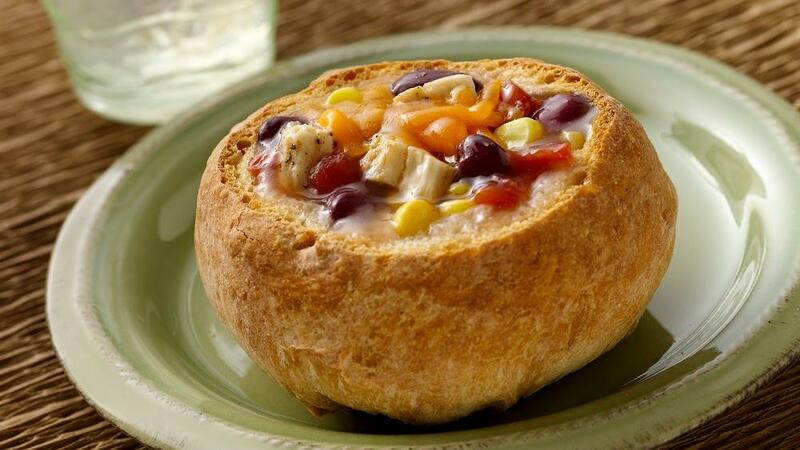 Looking to keep cool this summer? Try settling on a cool, blue hue for your room. This living room was washed down with blue from ceiling to floor! I love the watery color palette in this room which seems so relaxing and subtle. The different shades of cool blue works well together and is super easy on the eyes, especially after a long day from work. To keep things balanced, the designer chose to keep symmetry on their side: two matching side tables and lamps on either end of this sofa keep things from looking too busy and wrap the room up perfectly. The white lampshades and creamy white carpet keep things interesting and stick to the water colored theme. For a subtle way to add blues to your home, try adding blue curtains. The blue curtains in this bedroom are highlighted by the gold curtain rod, and the light blue wall makes them stand out. These candle holders are to die for! 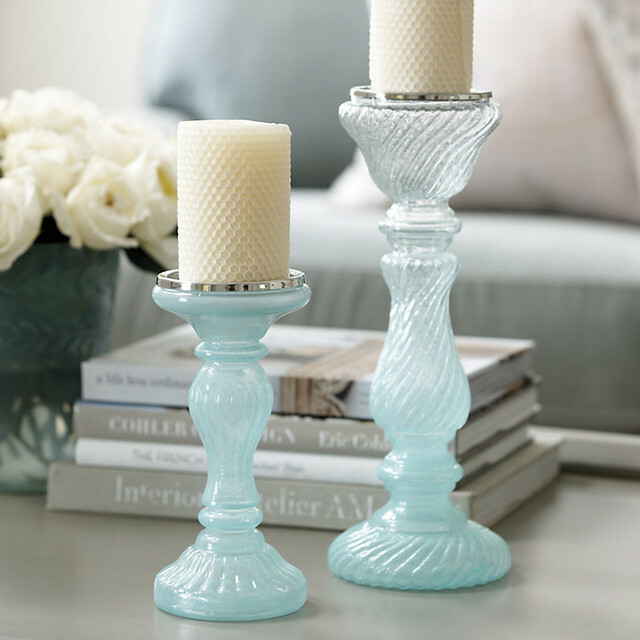 Their milky blue tone would be perfect on a worn, light coffee table. Definitely a must-have for any beachy home! When adding blues to your home, you can’t go wrong with pillows! 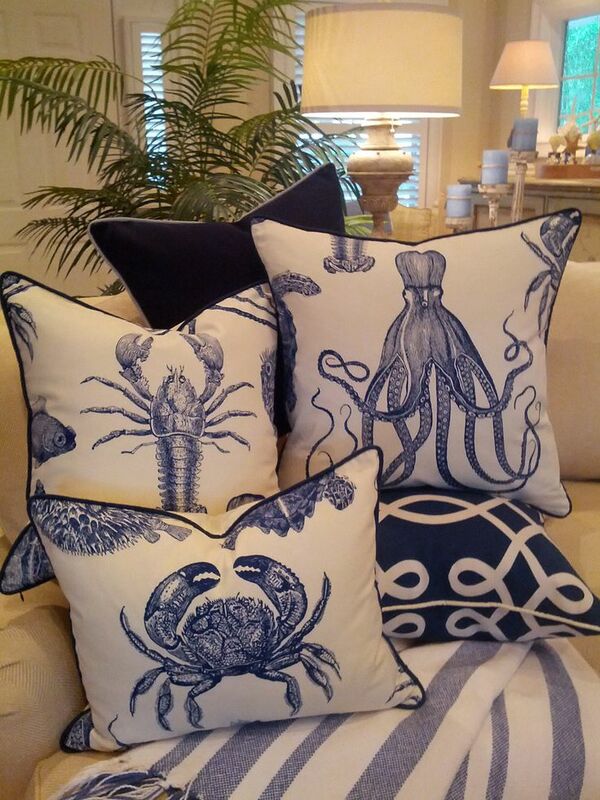 We especially love these sea creature pillows and their bold blue piping which perfectly frames them. 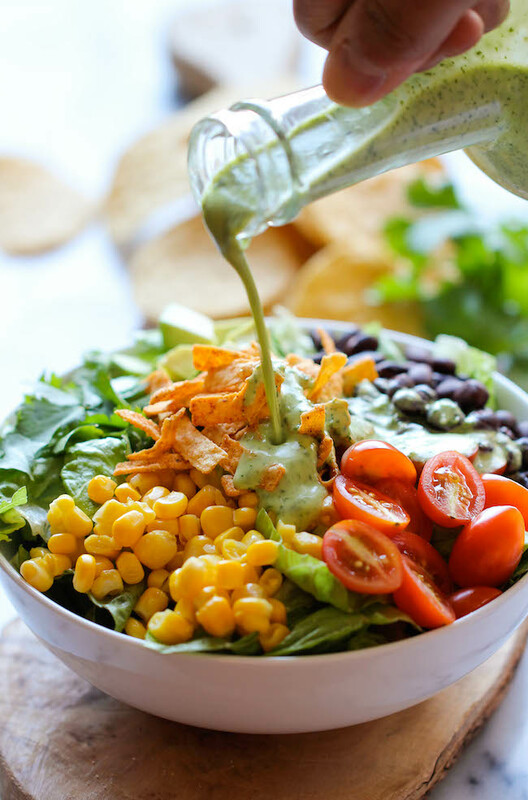 Pair them with neutral colored furniture and walls to keep your living room from looking too busy and make them pop! 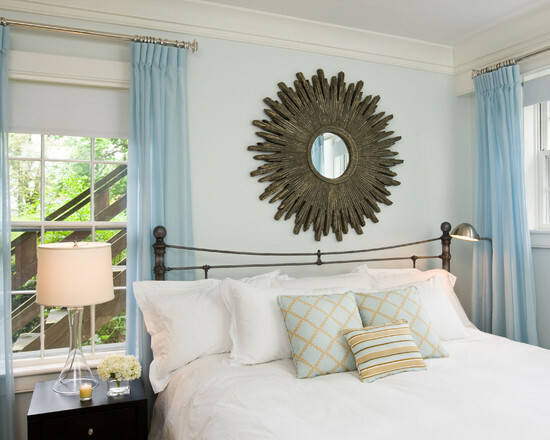 Photos: Decor Decoration, Sheilazeller Interiors, Locushire, Houzz, Coastal Home Pillows.